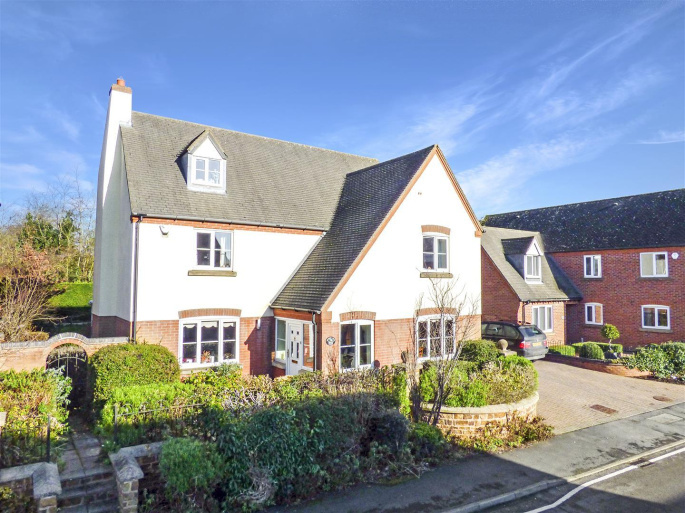 SUBSTANTIAL FIVE BEDROOM Detached family home on a highly sought after quiet residential development in the pretty village of Appleby Magna. With nearly 2,000 square feet of living space over three floors, this is an impressive home with very generous room sizes. 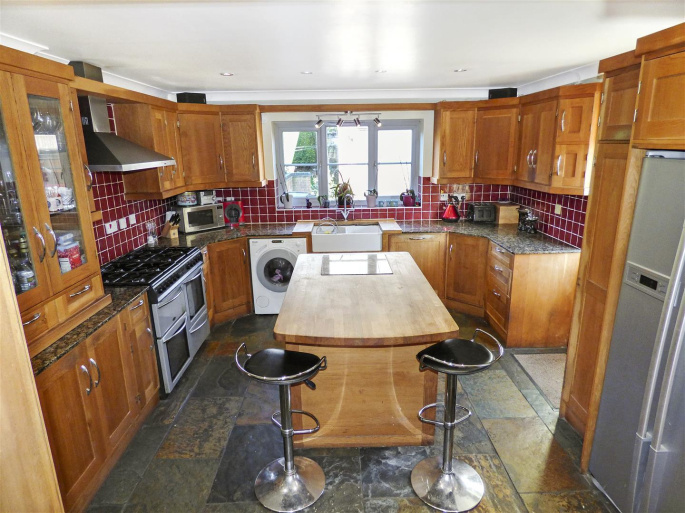 Large kitchen with solid wood units, spaces for an eight burner range cooker and an American style fridge freezer, the kitchen also has a large central island. 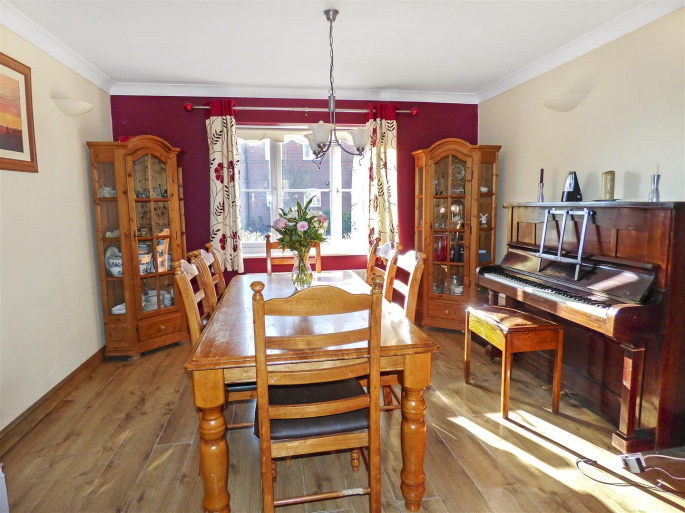 Large dining room leading off from the kitchen offering an excellent living and entertaining area. 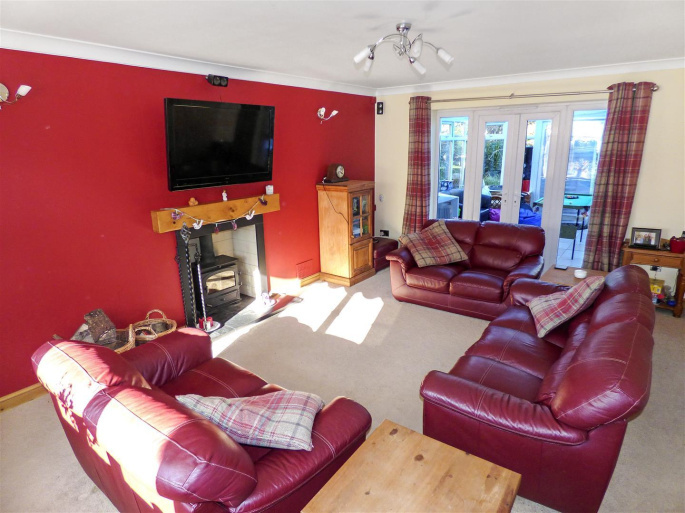 Spacious family lounge with log burner and double doors leading to the conservatory. 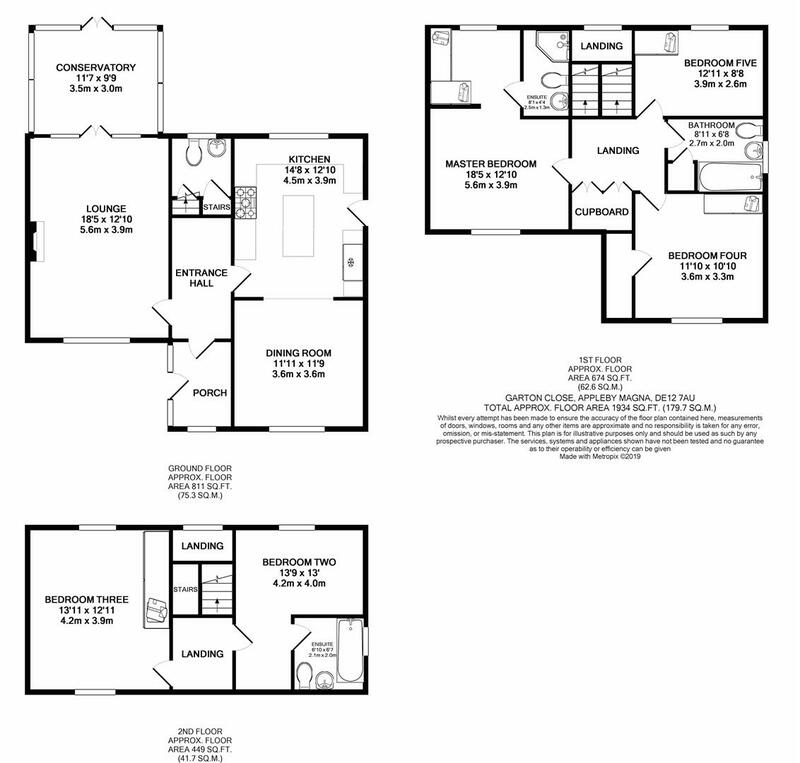 All five bedrooms are double bedrooms, two have en-suites and four have fitted wardrobes. Family bathroom with extra wide bath. 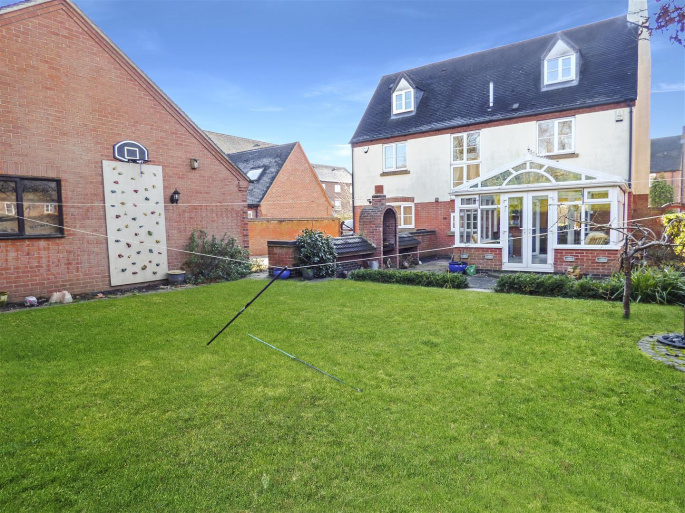 Externally, there is a good sized private rear garden and plenty of off-road parking and a detached double garage. 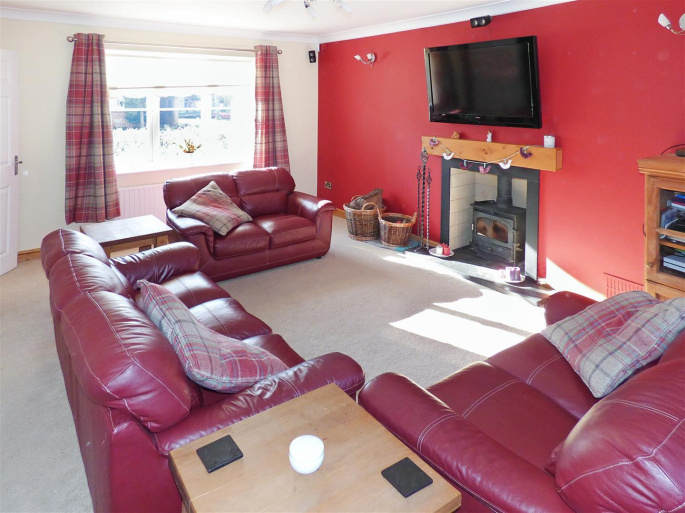 The property is ideally situated on a small quiet cul-de-sac development and is set back from the road with a small mature garden to the front and a pathway leading to the front porch. 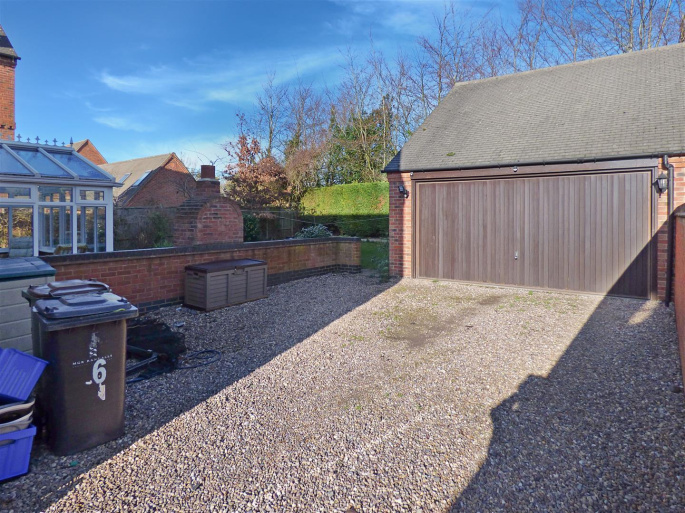 There is a driveway to the right hand side with a five-bar gate leading to the double garage and rear garden. 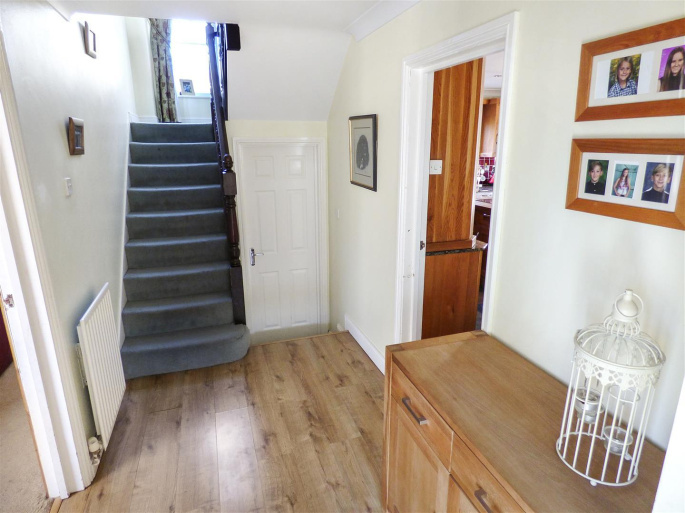 Entrance to the property is via the spacious front porch which has laminate wood effect flooring and UPVC double glazed windows to the front and side elevation. There is a wooden door with a decorative glazed panel leading through to the entrance hall. 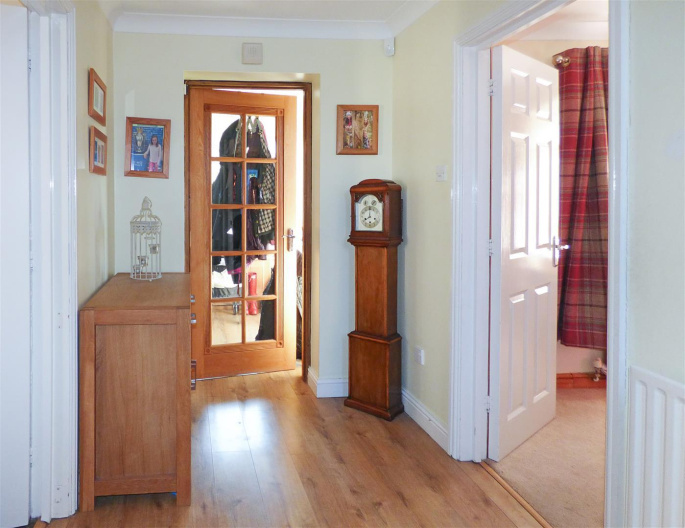 Once inside the property, you will find a generous sized entrance hallway with laminate wood effect flooring and doors leading off to the kitchen, lounge and the downstairs WC. Decorative coving to the ceiling, one central heating radiator and stairs rising off to the first floor accommodation. 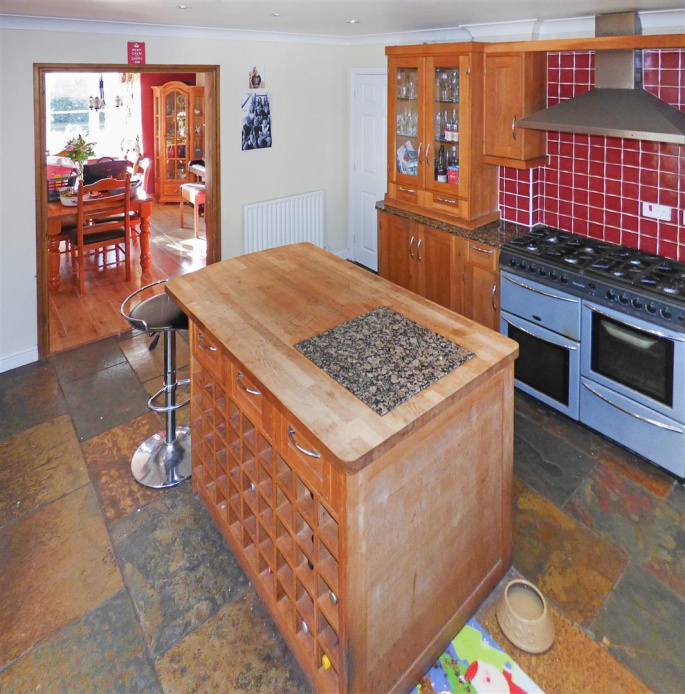 To the rear of the property over looking the back garden is a large family kitchen with solid wood fitted units, wall mounted display cabinets and a central island with a breakfast bar, integrated units, a marble inlay chopping block and a wine rack. The floor is stone effect tiling, the work tops are are black and beige mottled marble, burgundy coloured splash back tiles to the walls and a double Belfast sink. Spaces for a large American style fridge freezer, a dishwasher and an eight burner range cooker. There is an extractor hood above the range cooker area. One UPVC double glazed window to the rear and a side door leading out to the drive way and rear garden. Decorative coving to the ceiling, one central heating radiator and sunken ceiling spot lights. Leading off from the kitchen is an open walkway through to the spacious dining room with plenty of room for entertaining. 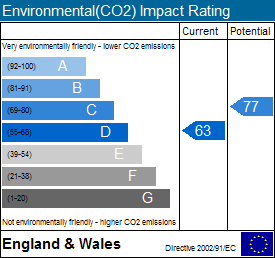 You will also find; laminate wood effect flooring, decorative coving to the ceiling, a double glazed UPVC window to the front elevation, one telephone point and a central heating radiator. The striking feature of the large family lounge is the inlaid fire place with log burner, black tiled hearth and wooden beam above. 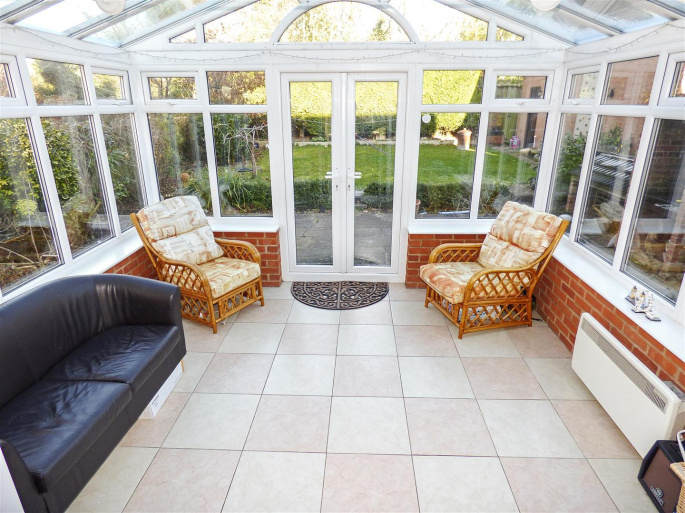 To the rear are double doors and full height windows leading out into the conservatory and through to the back garden. There is decorative coving to the ceiling, three wall lights and two central heating radiators. Constructed from brick built dwarf walls, white UPVC double glazed units, a double glazed clear glass roof, cream & blushed pink ceramic tiles to the floor and double doors leading out to the back garden. You will also find a wall mounted electric panel heater, power sockets and an antique style ceiling fan and light fitting. From the main entrance hallway there are two steps leading down to the WC and cloakroom, which has a white low level WC and matching pedestal sink with hot & cold taps and splash back tiles above. 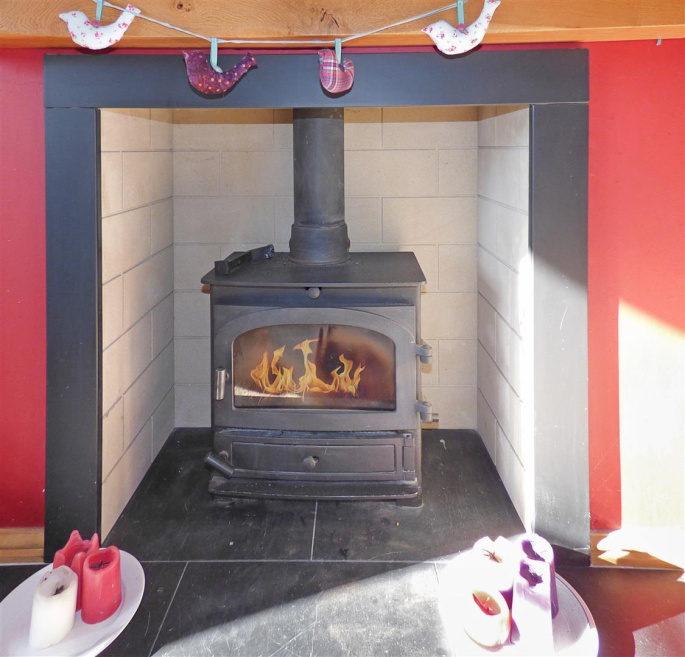 The floor is finished with pale green ceramic tiles, there is a small under-stairs storage cupboard, a UPVC double glazed window with frosted glass to the rear aspect, an extractor fan, sunken spots to the ceiling and one central heating radiator. There are two double-back stairs cases to the two landings at the rear of the property and there is a tall window that rises up past both landings and stair cases with a small gallery. 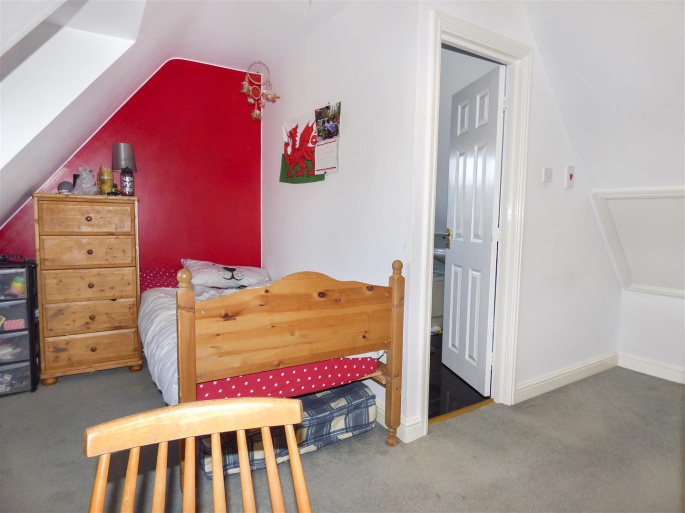 The larger landing on the first floor has a large fitted cupboard and a central heating radiator. The very spacious master bedroom suite runs the full length of the left hand side of the building and includes a dressing room area and an en-suite shower room. The flooring is wood effect laminate, there are sunken spots to the ceiling and there are double glazed UPVC windows to the front and the rear elevations. The partitioned dressing room area is fitted with two double wardrobes and a central heating radiator. 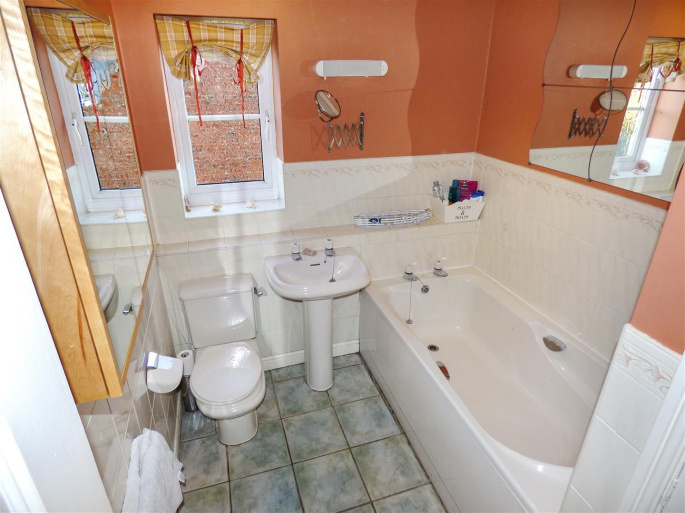 The en-suite has wood effect laminate flooring, part tiled walls, a raised corner shower, a white low level WC and a white sink set in a built-in vanity unit. There is also an extractor fan and one central heating radiator. Bedroom two is an 'L' shaped room on the second floor and has it's own en-suite bathroom and there is a dormer window in the apex roof to the rear elevation, access to eaves storage space and one central heating radiator. Fitted with a white suite comprising; a bath with chrome taps and a wall mounted electric shower over, a low level WC and a pedestal sink with chrome hot & cold taps. The flooring is finished in high gloss black tiles with silver sparkle flecks. 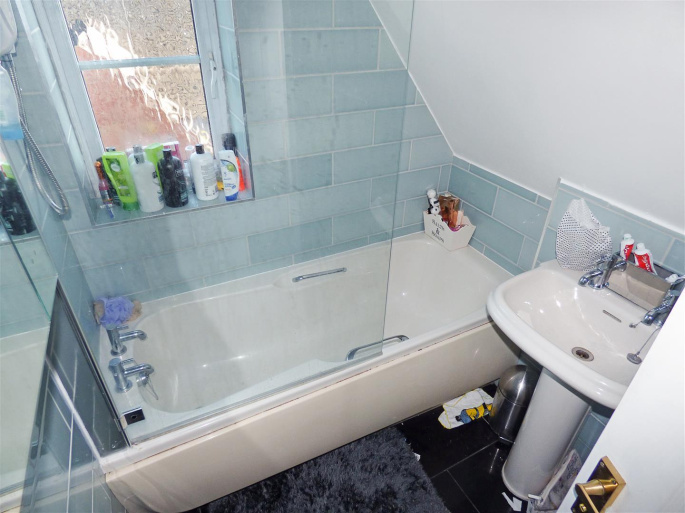 The walls are fully tiled in a pale green, there is a heated chrome towel ladder, a double glazed UPVC window with frosted glass to the right hand elevation and an extractor fan. 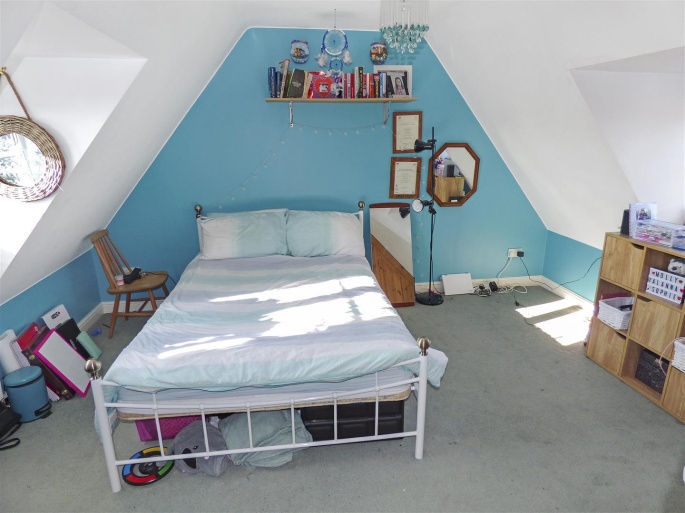 Also on the second floor you will find the third bedroom which is another good sized double room with an apex roof and double aspect dormer windows to the front and the rear. 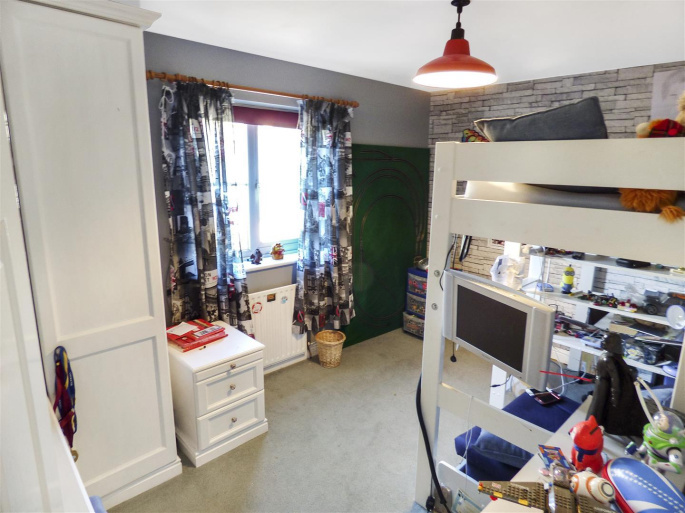 There is a large pine fitted wardrobe and one central heating radiator. 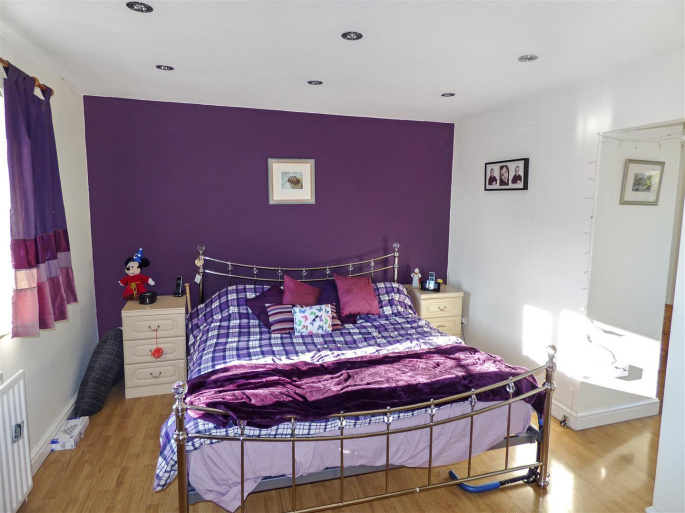 On the first floor and to the front of the property is the fourth bedroom which is another large double room which has two double fitted wardrobes, a fitted chest of drawers and a built-in storage cupboard. 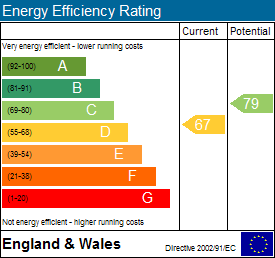 There is a double glazed UPVC window to the front elevation and one central heating radiator. 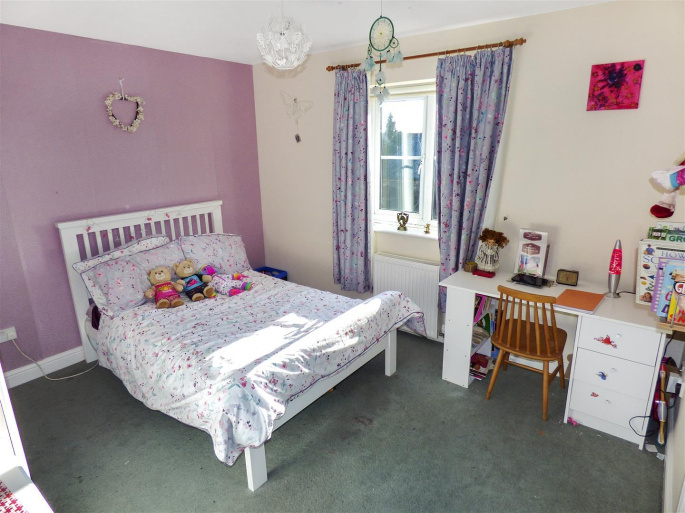 Also on the first floor is the fifth bedroom to the rear elevation which has a fitted wardrobe and a dressing table, a double glazed UPVC window over looking the back garden and one central heating radiator. 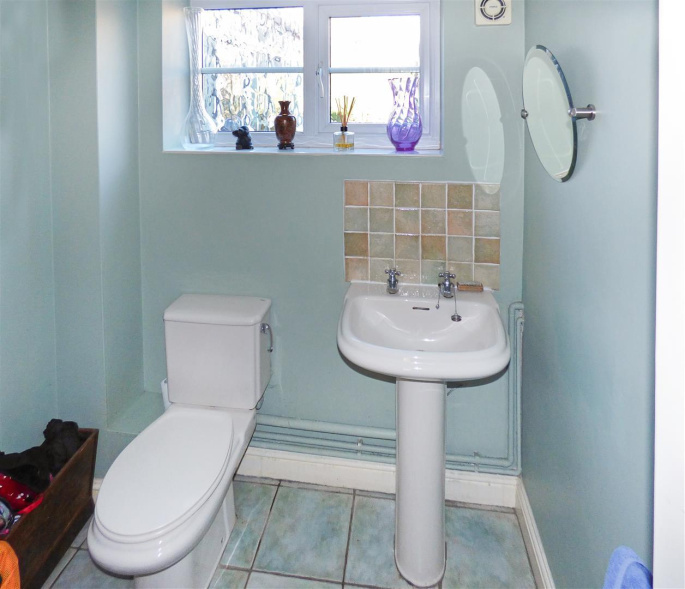 Fitted with a white suite comprising and extra width bath, a low level WC and a pedestal sink. 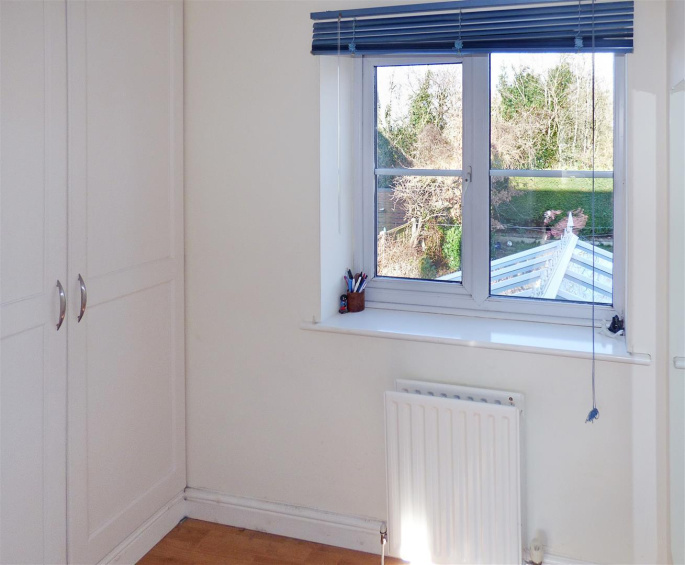 There are pale green mottled ceramic tiles to the floor, part tiled walls in ivory colour, an airing cupboard, a double glazed window with frosted glass to the right hand elevation, an extractor fan and one central heating radiator. The back garden is not over looked and is mainly laid to lawn with a patio area and a large brick built barbeque. There is a drive way to the right hand side of the property with a five-bar gate leading to the double garage which is bigger than usual and has a storage area beyond the car parking bays. The garden extends around to the left hand side of the property with a path and mature shrubs leading to a metal wrought iron gate with an attractive brick built archway. 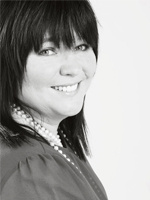 "Great service, all staff very professional!"